Home » Our Doctors » Trent Martin, O.D. Trent W. Martin attended University of Tennessee – Chattanooga, wherein 2013, he graduated with his Bachelor’s Degree in Biology. He then attended Southern College of Optometry and graduated with his Doctor of Optometry degree in 2018. During Dr. Martin’s training in Memphis, he completed externship rotations at private practice locations in Germantown and Collierville, as well as at the Memphis VA Medical Center. 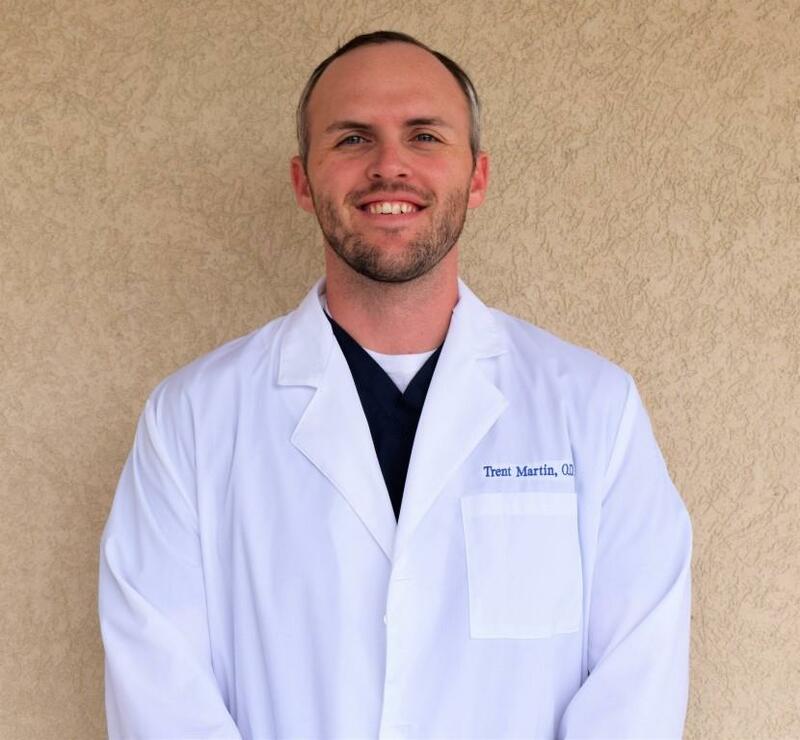 After graduation in 2018, Dr. Martin joined Eye Care Group, PLLC, seeing patients at our Dyersburg, Ripley, and Jackson locations. His professional interests include ocular disease diagnosis and management, glaucoma, diabetic eye disease, dry eye, and specialty contact lens fittings. In Dr. Martin’s spare time, he enjoys outdoor activities, golf, and UT sports. He enjoys spending time with his wife, Kristen, and their two dogs.